A Beach And You is a sunny testament to true love. The distinct elements of the tracks combine to create something utterly special; Apfel intersperses his vocals with intricately-sequenced keys. By ensconcing considerable depth in a poppy introduction, Apfel is able to go into further complexity in subsequent songs. Comin Home To You builds upon the same wistful remembrance of A Beach And You; the dual duty done by Apfel to create a narrative and contribute to the overall harmony of the instrumentation showcases considerable ability. The journey which Apfel sends listeners on during this early track on Reflections is something that listeners can identify with and it is this common thread between performer and audience that ensures that fans will keep the Reflections EP spinning. Coloring Outside the Lines is our favorite single on the Reflections EP. 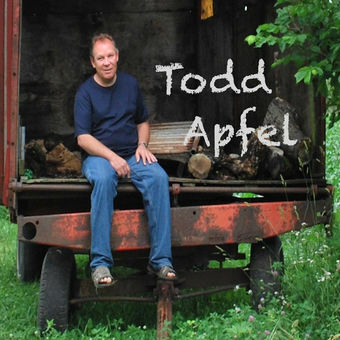 The distinct sections that comprise the release feel considerably different from one another, but Apfel is able to corral them and create something that touches upon the work of Dire Straits, Genesis, and with just a hint of the heaviness of Pink Floyd. Hot Summer Love has Apfel shift his overall sound to something that will work on contemporary pop stations; bits of Maroon 5 and Matchbox 20 can be heard here. A deliberate drum line and ropy bass line give this effort considerable staying power, while the titular effort on the Reflections EP slows things down and requires listeners to deeply mediate on their own life. The distinct styles that are utilized on Reflections showcases the ability of Apfel, fostering a desire for anyone fortunate enough to experience the release to want more. Visit Todd Apfel’s ReverbNation for samples from the Reflections EP and his Facebook for the latest in news.